Fish processing generates a range of by-products such as guts, skins, heads and frames and stickwater. By transforming them into nutritional supplements, fish oil, fertilizers, biodiesel and animal and fish feeds, these by-products can help fish processors realize significant additional revenue. However processors are often unable to extract the full value potential due to inefficient secondary processing methods or over reliance on mechanical, heat or chemical processes. It is here that our enzymes can come to the rescue. By reducing the time, energy and resources needed for these processes, our enzymes can help processors achieve improved yields and superior quality of finished product. This application has its fair share of challenges though. The fish rendering typically operates on low margins and so using the appropriate enzyme which ensures maximum efficacy at minimal cost is extremely critical. Furthermore, the process and capacity differences across various manufacturers means that the particular enzyme has to suit specific process parameters of operating pH, temperature, holding time, batch versus continuous process, cost etc. Using our lab facilities, we therefore screen a range of enzymes, conduct experiments under these specific conditions and select one or two enzymes that would be most suitable. We then visit our customers at their production plants, roll up our sleeves and work with them in conducting extensive production trials with these enzymes. This hands-on scale up often brings about not just an optimization of the enzymatic process but also of the entire production chain resulting in further savings and ease of operations. Some of our improvements include higher yield of fish oil, reduced FFA's, decreased stickwater viscosity, reduced processing time enabling faster throughput and increased protein digestibility in decanter by-products. If you are a fish renderer and would like us to help optimize your process, feel free to contact us we are always ready to help! In the background of ever rising power bills and climate change, consumers are increasingly demanding environment-friendly products. 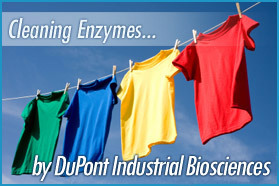 Enzyme Solutions® markets Enzycold, EnzyDish and EnzySoak. Each are a powerful triple enzyme blend of protease, amylase and mannanase suited to low or non-phosphate formulations, auto dish wash tablets and powders. Free water in powders can result in reduced shelf life for enzymes, our formulations use superior granulation technology to overcome this issue. Laundry powders are now routinely formulated with multiple enzyme activities with protease and amylase being the essential two. In cold wash situations, Effectenz branded Protease and Amylase are the starting point and then the addition of Mannanase and or Cellulase are additional options. Addition rates can be varied from 0.25% up to about 1% depending on the detergent format. 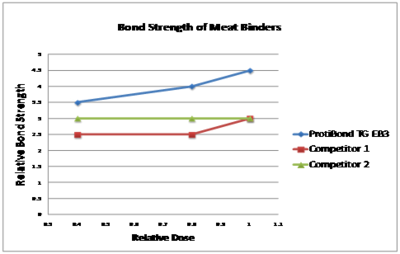 We compared Protibond TG® EB3 from Enzyme Solutions®, with two other meat binders on the Australian market. Results showed that Protibond TG® gave better binding at a lower dose. In fact around 25% less needed to be added to get the same binding strength. Sprinkling lightly gave the same result. ProtiBond TG® is a high quality product, manufactured in Australia, to Halal standards and is vacuum packed to maintain shelf life and available in easy to use resealable stand-up packs. We can't ignore the fact that the supply of fossil fuels has its limits. With the current growth in population, these finite resources will become more costly as our consumption rates outpace the supply. Global warming and global security are real concerns. Today's energy consumption is made up of 60% petroleum and natural gas. By 2050 oil production is projected to be less than 20% of current rates, and natural gas production less than 25%. Still, we need energy sources to fuel our automobiles and stay mobile. The challenge is to develop renewable, economically viable solutions to curb our dependence on fossil fuels. The solution? Advanced, and more sustainable biofuel technologies. According to the U.S. Environmental Protection Agency's Renewable Fuel Standard Program (RFS2) Regulatory Impact Analysis of February 2010, first generation corn-to-ethanol plants has the potential to reduce greenhouse gas emissions by as much as 52% over petroleum-based fuels. Second-generation ethanol made from cellulosic feedstocks (e.g., switchgrass), agricultural residues (e.g., corn stover), or wood forest residues has the potential to reduce greenhouse gas emissions by as much as 129%, compared to gasoline. DuPont enzymes are a critical component for process efficiency and yield results in both cases, working continuously on improving the fuel ethanol industry's productivity and efficacy. For example, DuPont Industrial Bioscience's Accellerase® enzyme platform is using non-food agricultural residue, such as wheat straw, wood chips and switchgrass, to help producers develop the route to cellulosic ethanol. Considered the next generation of biofuels, Accellerase® technology can help ethanol producers reduce carbon emissions by greater than 50 percent over previous processes, which makes it an important tool to break industry dependence on petroleum. 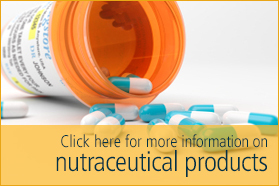 To deliver unique, innovative biotechnology derived products and technical services which provide environmentally positive solutions to customer needs.
" Your stomach is your second brain"- Digestion more important than you think. Application of enzymes in fish rendering.